This one is for the horror movies — a mummified body was found in a hoarder’s house. 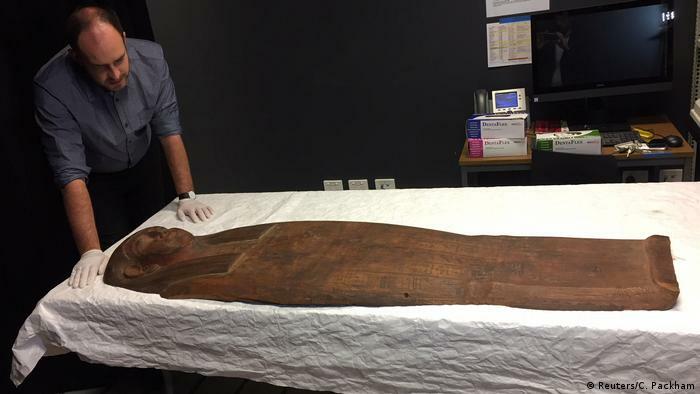 While clearing up debris and garbage this week from the home of noted hoarder Bruce Roberts who died last year in his home in Greenwich, Sydney; workers were shocked discovering a mummified body among the mess. According to a report from News 9 Australia, the body was found amongst rugs in the house, and it’s unclear how long it’s been there or if Roberts had anything to do with it. “The occupant of the home died close to a year ago and the owners organized for the property to be cleaned this week,” Greenwich police said Thursday in an official statement. Authorities are awaiting post mortem examination results to determine the circumstances of the death. According to the report, neighbors described Roberts as a ‘recluse’ and a ‘hoarder’ who kept to himself and barricaded his doors and windows, living in squalor; and would wear a brown coat, no matter the season, when he was out and about the neighborhood. “You’d say hello and he’d just mutter ‘hello’ or just not notice. He lived in this tiny little house on the corner, it’s completely overgrown and you can see rubbish in the garden,” a neighbor told the Australian Broadcasting Corporation. The report added that Robert and Gayle Meagher, who said they lived next door to Roberts for decades, said that the house belonged to his parents and he had been living there for at least 50 years. “When he died, I was really upset and I was worried that we were next door and what could we have done, but the home was not a very healthy environment, so there was nothing we could have done,” Gayle Meagher said. She added the neighborhood was saddened at the discovery of the body in the trash-filled home. The Washington Post noted in its report that there was also a similar case this year in Wales, where authorities who were excavating a hoarder’s home discovered a woman who lived there “buried under piles of papers”, and rushed her to a nearby hospital. The woman’s mother, who had also lived there, was later found dead.